This course is aimed at consultants, project managers, project team members and key users. Basic business knowledge of processes in Sales and Distribution. 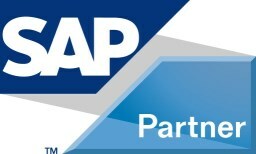 The course covers the functions in sales and distribution processing in SAP ERP. It does not examine company-specific requirements in Customizing. This course is also available in a self-paced e-learning format under course code SC600E. This course is based on sales order processing for tangibles. If you are interested in learning how to process sales orders for services rather than for products/materials, you should consider SC602E instead.